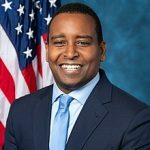 Eagle County Colorado is split over two congressional districts with two representatives – Democrat Joe Neguse (CD2) and Republican Scott Tipton (CD3) — who have dramatically different ideas about how public lands should be managed. 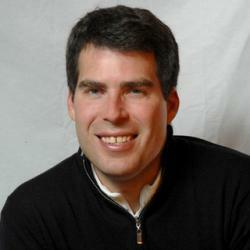 “I’m proud that the CORE Act was crafted by Coloradans over a decade of collaboration,”Negusesaid Tuesday. “This bill comes with input from our local elected officials, outdoor recreation businesses, conservation groups, ranchers and sportsman. 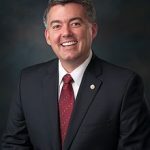 Facing a full-court press from local elected officials and conservation groups to back the CORE Act and protect large swaths of Colorado wilderness, U.S. Sen. Cory Gardner contends the legislation – despite a decade of negotiation – is not yet ready for primetime. 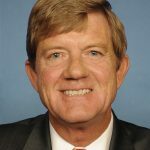 The CORE Act, or the Colorado Outdoor Recreation and Economy Act, was introduced by Sen. Michael Bennet and U.S. Rep. Joe Neguse – the congressman whose district includes Vail – on Jan. 25. It combines four previous bills, including the Continental Divide Recreation, Wilderness and Camp Hale Legacy Act, protecting 400,000 total acres and 73,000 acres as new wilderness. While special recreational designations have been included in the CORE Act, protecting mechanized travel such as mountain biking in certain areas, some motorized recreation groups have been grumbling about the legislation lately. Letters to the editor in the Vail Daily and other papers claimed major motorized use restrictions but were later corrected or removed.